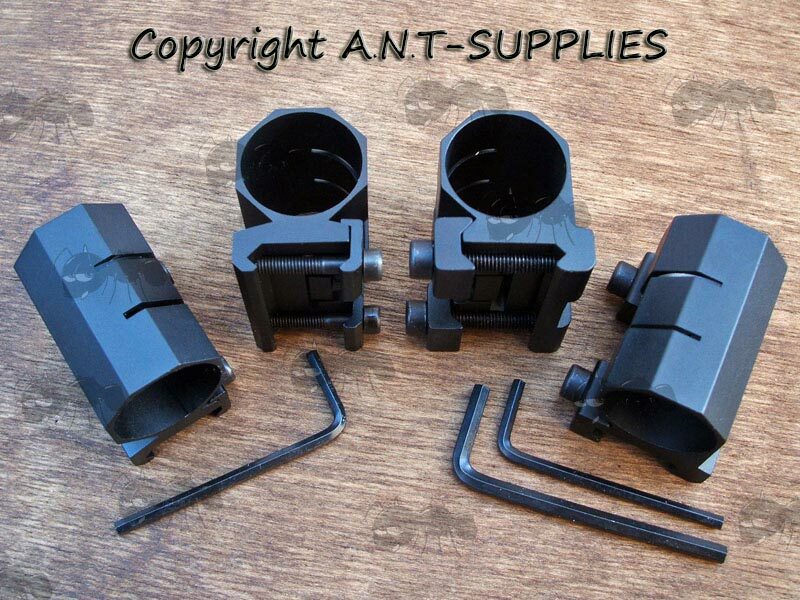 For mounting flashlights or lasers to Weaver / Picatinny rails. 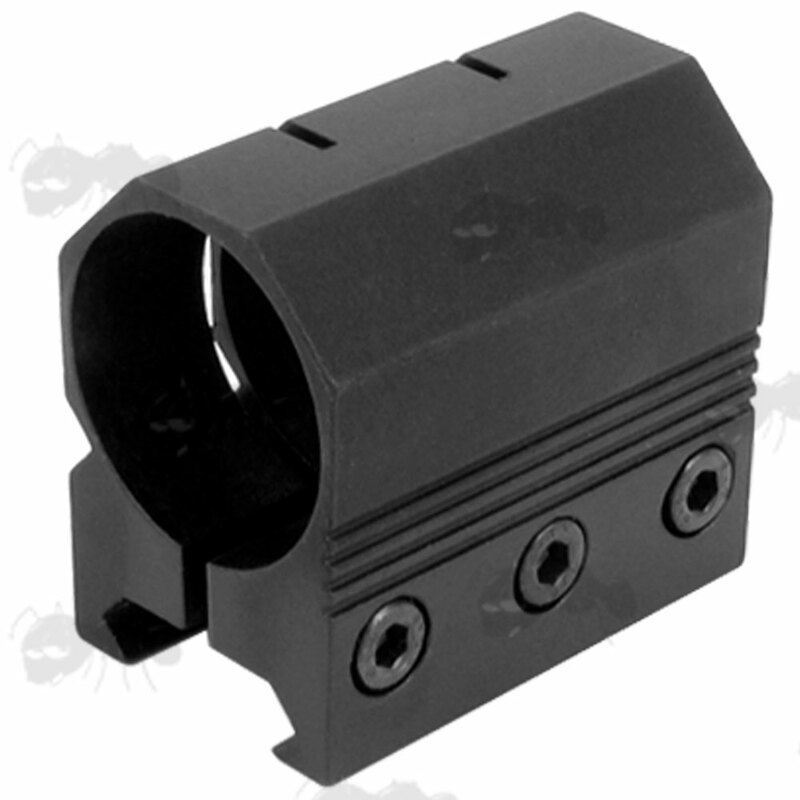 Also available ~ Offset gun rail torch / laser mounts. 39mm high, 44mm long and 31mm wide. 38mm high, 44mm long and 39mm wide. 40mm high, 45mm long and 28mm wide. Quick and easy attach and remove. 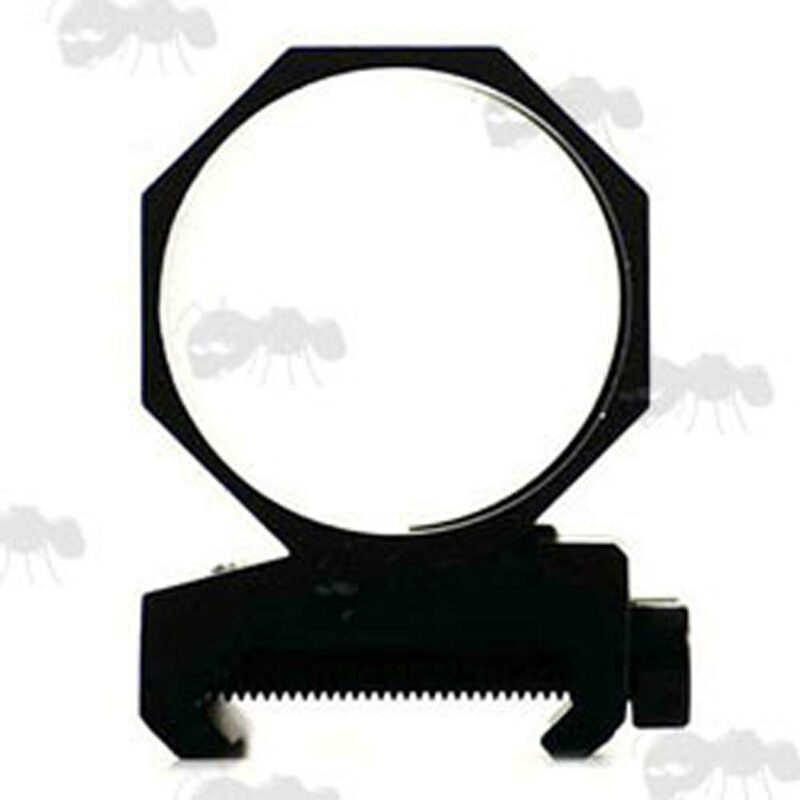 For attaching a torch or laser to your rifle. Super light-weight mount with secure hold. 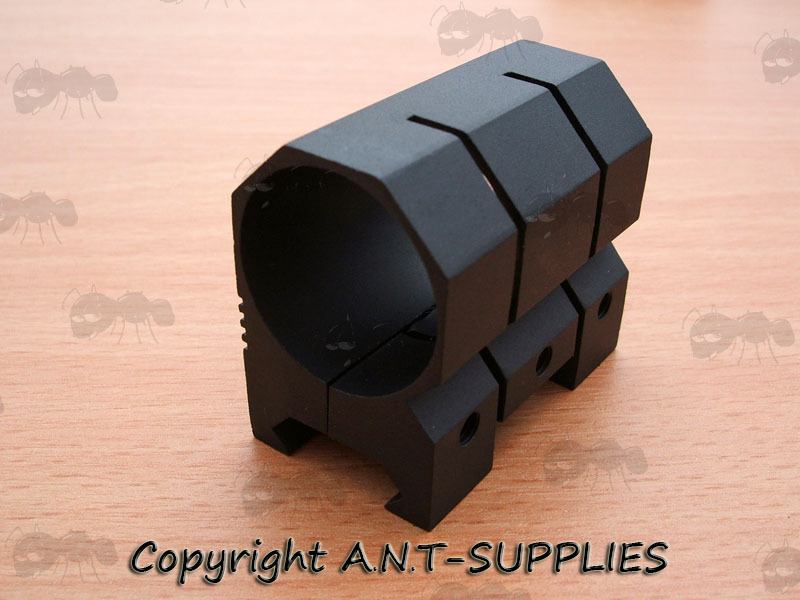 Low-profile for 1" / 25mm diameter tubes. 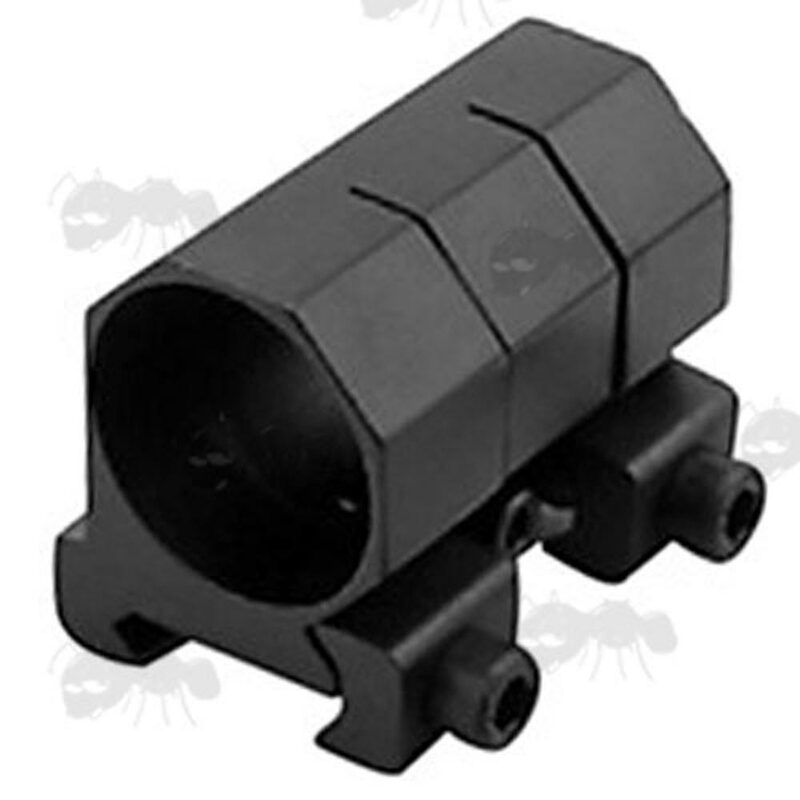 Precision machined aluminium construction, black anodised finish.